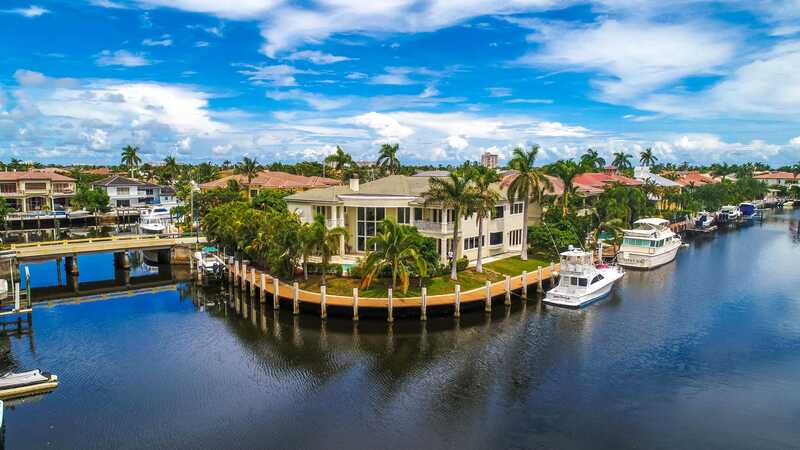 Trophy gated point lot estate encompassing 223 of water frontage on one of the rare islands streets of Lighthouse Point. This unique estate home has over 7,100 sq ft of air conditioned space. With three master suites and every bedroom with ensuite bathrooms , this home distinguishes itself from all other homes on the market. Impeccably maintained with crown moldings, coffer ceilings, marble floors and oversized rooms throughout. The southwest facing tropical pool guarantees sun throughout the year.